Self-proclaimed best-selling author and franchise guru Dr. John Hayes enthusiastically endorsed Dental Fix RX “12 Amazing Franchise Opportunities for 2015” (BizCom Press). In the wake of controversy caused by an UnhappyFranchisee.Com investigative series entitled Dr. John Hayes’ Franchise Fraud School & Pay-for-Praise Emporium, BizCom published a blog post admitting that not only had the franchisors featured in John Hayes’ Amazing Franchises series paid to be in the book(s), they also provided their own chapters… written in the third person. In their attempt to put a positive spin on what seems to be a program designed to willfully mislead the American public and, specifically, prospective franchise owners, BizCom and Hayes are doubling down on their praise of the franchises they were paid to call “amazing.” The BizCom blog posts contends: “We certainly consider them amazing! And for many good reasons! How Amazing for Franchise Owners is Dental Fix RX? Financial assistance for franchisees… 9-5 working hours, 5 days a week… a van instead of an office… no special education required… and a guarantee… can only be described as amazing! Dental Fix’s Scott Mortier estimates a franchisee can charge between $150 and $200 an hour and see up to 5 dental offices a day…. It is striking that during the same period that Dr. John Hayes was promoting Dental Fix RX franchise opportunity as amazing, David Lopez and the franchisor was busy terminating more than a quarter of the systems franchise owners. One assumes that these franchise owners, who would have lost their investments of time and money, might not view Dental Fix as an amazing opportunity. We don’t know what happened, and invite those in-the-know to share below or by email (in confidence) to UnhappyFranchisee[at]gmail.com. According to the 2017 Dental Fix RX Franchise Disclosure Document (FDD), there were a total of 153 franchise agreements from those opening new franchises and another 8 from those acquiring a franchise through “transfer” (161 total). Of the 161 franchise agreements held by franchise owners, 40 were terminated by the franchisor. Another 5 ceased operating for other reasons, and 8 were transferred to different owners. So, within that three year period, a full 1/3 of franchise owners saw their franchise dreams end in termination, closure or transfer. Currently, the Dental Fix RX lists 101 U.S.franchises, so the declines no doubt have continued. According to the 2018 Dental Fix Rx Franchise Disclosure Document (FDD), there were 162 franchises opened and 9 transferred to new owners between January, 2015 and January, 2018. 78 (45%) of those franchise agreements resulted in prematurely ceased operations, terminations, or ownership transfers. What is the current relationship between the Dental Fix RX franchisor and franchisees? How many franchise lawsuits are there currently (We’ve seen evidence of at least one online)? Do the franchisees who gave testimonials in 2015 (Michael Leonard, Ted Chen, Brad Cox, Ken Tralongo) stand by them today? Does CEO David Lopez or Scott Mortier see an ethical problem with paying for an endorsement and passing off a self-promotional chapter as analysis and praise by a third party expert without disclosing that arrangement? Is there an ethical and legal problem with sneaking potentially illegal earnings claims into a book supposedly, but not really, written by an independent third party? Was David Lopez’ previous franchise company, FROOTZ, successful under his leadership? Why or why not? what about his other ventures? So three years later, has Dental Fix RX proven to be the Amazing Franchise Opportunity that franchise guru claimed it would be? Michael Leonard would probably still give a favorable review considering he is now their Director of Operations. Ken Tralongo would also give a favorable review since he’s currently David Lopez’s business partner, as well as a former Franchisee. David helped Ken unload his Franchise and started up a Dental Consulting Company called Tralongo prior to this book coming out. Don’t believe me? https://www.tralongo.net/about/team/. Brad Cox is a Canadian area developer. His business model is completely different than the U.S. Franchisee’s business model, and because of that he’s able to actually make a living. The dental fix rx it is not what they said scam and bull….. wont trust them they lie to me so much they need to be shut down soon. Dental Fix “The Faster Fix” well a lot of customers (Doctors) were lost because of incompetence of their small equipment division SER, changed to Rapid Repair which is non existent and now sending to Florida Dental Repair (David Lopez ownership interest). Not only did it take 3 and 4 times to get a handpiece Repair correct but the 4th time they gave an estimate for the same thing they did the first time. Did they look at it? Did they do the repair in the first place? One doesn’t know. Also come to find out that Rapid Repair was in completion with owners as Doctors could send HP to them by passing Franchise Owners. Now there is more completion thrown out to Franchise Owners with a company that again David Lopez has ownership interest in. Dentist Choice- who’s prices are drastically lower than what Dental Fix charges and does all Handpieces-high, low, electric etc. Why were owners not taught to do all or give extra classes to do all? They wanted the revenue for themselves. Pryor to signing the agreement I asked the question on why the small equipment repair is so small. With all the growth how can they do all in a timely manner. I was told and promised that they were in stages of expanding and making it larger due to the growth. They agreed it was too small and needs to grow with the company. Well it never was expanded and now it’s gone. Lies about that. Also lies about the growth of the company? New vans coming on but fudging the number on vans franchises leaving? What other lies are there? Dental Fix worries/cares about companies they do business with ie Insurance, accountant, Mercedes Benz, loan company that they get kick backs from, then their own franchise owners. Example- notice a letter that was sent around about a 9k kick back on vans not purchased by Dental Fix but Franchise Owners and now you wonder why we were forced to by that vehicle when it is overkill. Plus the outfitting cost that could have been obtained for a lot less. If given the chance would I do it again? HELL NO! If your interested I would give you one word of advise RUN!!! Something needs to be said by all. There will be more to come. DentalfixRX franchise is a scam- David Lopez so called CEO instructed his Sales people to tell all false sales claims( franchisee make $20000 upwards) then same wording doesn’t appear on franchise disclosure documents. Once Franchise fee and Van build feee is paid they just literally disconnect you. They start telling you are on your own. Sales consultant tells potential franchiser dental fix rx will provide business – means clients, that is the reason they charge high monthly fixed support fees. Once business started they schedule fake appointments once franchiser visits dental office office staff tells we never accepted appointment. 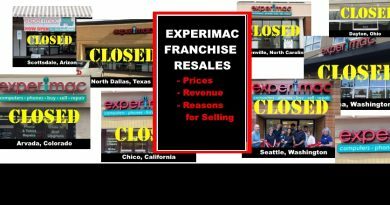 Total failure almost 50% of franchises were terminated/closed. Once business started they schedule fake appointments once franchiser visits dental office staff tells we never accepted appointment. When I was on the site today, Google Ads were ironically displaying Dental Fix RX ads right on the negative dental fix posts. Just to clarify: Google decides which ads appear in those spaces at any given time and they could be different for different viewers. Dental Fix ads don’t mean we have a relationship with the company – we don’t. It just means that Dental Fix gets charged every time someone clicks on their ad and a little bit of it trickles back to help support the site. Thanks to DentalFix we are now broke and have to restart our lives. We pumped ALL of our savings into the business after hearing what a great opportunity it was and talking to a couple of franchise owner/operators (who turned out to have an ownership stake in DentalFix). We were lied to, approved for an SBA loan under false pretenses by an agent who committed fraud to get new franchisee’s approved (when they otherwise wouldn’t get approved) and then we find out after we’ve lost everything that the SBA is tied to our personal assets…we were assured many times this was not the case prior to signing the paperwork. DentalFix is nothing but a group of thieves, liars and cheats who think it’s ok to rip off harding working people to line their own pockets. David Lopez is the worst of the bunch, talks a big game and sounds like the nicest guy when you meet with him when in reality all he cares about is getting as much money from people as he can so that he can pay for his Mercedes and his wife’s fancy jewelry and clothes. I honestly don’t know how they all sleep at night knowing they have decimated so many people’s lives and destroyed their financial future. David Lopez, Darrin, Scott and the rest should all be locked up as they are nothing more than criminals masquerading as executives to fleece people of their hard earned money. Scott Mortier is the most dishonest salesman I’ve ever dealt with in my life. It says a lot about Dental Fix and David Lopez that they have this flamboyant liar out selling franchises to inexperienced but good people. Scott will promise you that you’ll be able to pay yourself $40k in your first year while most will actually lose $40k in their first year. They advertise no experience necessary because they don’t want you know how much you’re overpaying for everything. You can’t do this business without experience. Dentists will kick you out of their office when they realize you don’t know how to do what you’ve marketed yourself to do for them. Which hurts your business because he or she will tell their dentist friends and you’re business will feel the loss. The trainer is okay but the training program is lacking. A lot! They take 10% from all equipment sales to the franchisee which puts you at least 10% behind all competition for all equipment sales right off the bat. That’s in addition to the ridiculously excessive royalties they charge. They convince you to borrow $40k just for working capital so that they’ll be able to collect that in royalties and overpriced software fees. This company taught me one thing… and that is not to trust anyone. If you’re considering investing in a franchise with Dental Fix, just turn away and never look back. The world is better off without these people. This is a really big scam! They are the best con artists. They could make a movie out of this there plan to defrud people was well thought out. I hope the feds get involved and send them to jail. They have taken the life savings of almost every franchisee. People put all they had into this. All of the previous posts are true and not made up. They implemented there plan well and over and over again. Mortier’s official title on linked in is “Rainmaker”. Are you serious???? Thanks very much for your comments and your input. Two factors that help posts like this gain more prominence in Google are the number of comments and links to the post from elsewhere on the web, including Facebook, Twitter, etc. So thanks. My next post (today) is about a PR firm that publishes a phony magazine to promote its paying clients and grant BS awards… again, from a phony 3rd party perspective. I am working on exposing the publishers, advertisers, brokers and industry “consultants” who make a living deceiving people into buying into nightmares like Dental Fix RX. I am hoping Dental Fix victims might identify by emailing me or posting on the site all who played a role in recommending or validating this franchise, including advisors, brokers, franchisees who gave testimonials, salespeople, etc. Also which sites or advertising portals played a role? I’m not asking to name names that might blow the anonymity of a particular franchisee but I would love to understand and expose the mechanisms (intentional and inadvertent) that enable bad franchisors to seem credible and trustworthy – and which so-called experts with industry experience could have raised doubts or identified red flags… but chose not to. I agree with everything posted. The Dental Fix experience left me financially devasted and I ended up having to file bankruptcy. In the real world the business model is not sustainable for the majority of franchisees. The people behind Dental Fix are not new to the franchise game and they have a slick well oiled marketing campaign to promote the franchise. Unfortunately the marketing, operations, and support for the franchisee is not as advertised. The call center is a joke, technical support spotty, margins aren’t anywhere close to what is claimed. My advice, don’t even think about this business. But if you do, have a good attorney review all documents before you sign anything. I would also add, the characterization of the principals involved is spot on. Completely shady and a lack of ehtical behavior. They know full well the average prospect is putting everything on the line and all they care about is getting theirs. They withheld crucial information about the territory I purchased until the day I “graduated” from training. If they had been forthcoming with this information i would not have signed up. Its odd to me how MLMs and Franchises seem to be almost licenses to commit fraud…if this stuff was happening in a public company or wall street people would probably be going to jail. Eric – You’re right but DentalFix is pretty bad. If any Franchisor risks getting held accountable – it will be this one. Next step CNN TRUST ME………. Monica Feid, president of BizCom Associates Publisher of Hayes’ pay-for-play “Amazing Franchise Opportunities” series. I saw somewhere that there are a total of about 15 students in the franchise program… so that means the advisory board has 2X the number of members as there are students? Seems a little fishy. I am kinda surprised that Carolyn is still associated with Dental Fix. She got brought on last June from Subway supposedly. I figured she would’ve exited very quickly. What is a “Presidential Center of Excellence” anyways? I wonder if that superlative is defined anywhere. They lie to their franchisees, they steal from their franchisees. All they want is to connect to your checking account and milk the account till you cannot do it anymore. Then they resell the franchise. They “forgot” to mention to me that multiple franchisees had already failed in the territory they sold me. Although, Brian Dershow, the COO, remembered to tell me about the problems in the territory after my third week of training. Yes, they informed me of the problems after collecting the franchise fee 25K, the training 15K, the van 50k+. Too late for me…..I already signed the papers and gave them the money. They won…… I lost! Someone will start a class action suit…….. I hope. There’s already a nasty suit against them. Ask other franchisees for the contact info of the guy you should talk to. I’m looking at the newest FDD now….why does the 2018 FDD show 81 units at the start of 2015, yet your picture shows 90? Shouldn’t the FDDs be the same for a historic number? That’s a 10% difference. Frank makes a good point. The first graphic is the Item 20 of the 2017 FDD. I just posted a screenshot from the Item 20 of the 2018 FDD. The 2017 FDD states that there were 90 franchises at the start of 2015. The 2018 FDD states that there were 81 franchises at the start of 2015. Where did those 9 franchise locations go? There are no notes in the FDD (that I could find) to explain the inconsistency. Isn’t it written somewhere that Dental Fix stated they do not want people that were or are in the dental repair industry and why is Mike Parker, the most successful owner every year there? Didnt he work with another dental repair company? Also when driving with him on discovery day I asked what he did before dental Fix, no mention of working in the dental field, he said he refurbished yachts inside, installed carpets. Lies lies lies! I’m one of the victim of Celtic Bank and Dental Fix Rx “fraud scheme”. This two companies turns my life and my family into a nightmare. Why I call this a “fraude scheme”? Because for me, today that I think about it, and how this persons took advantage of me, advantage of my dream, for this a more, this is a fraud scheme. Celtic Bank representative sent me an email with an “example” of how to fill a financial statement, sales projections, including overvaluing my house to make my equity higher, just to qualify myself to this $150K loan quickly. David Lopez and Dental Fix knew they were deceiving franchisees. The latest comment from Lopez about franchisee’s spending government guaranteed Small Business loan proceeds like monopoly money is proof. When I approached Dental Fix and expressed interest in multiple franchises, David recommended that I raise additional capital with an SBA loan and said he had a connection that would make sure I was approved. I had no intentions of borrowing money , but he made it so easy and almost hinted that it was a requirement. After many years of losses I still make a payment to the bank that I borrowed the money from. Just because your business fails it doses not excuse you from making your obligatory payment unless you don’t mind your credit bring ruined, your possessions being taken, and your pay garnished. I’m not sure that would be not the definition of monopoly money. Dental fix was all about spending monopoly money insisting that we all buy brand new Mercedes Benz vehicles and then outfitting them with about $10,000 of Dental fix equipment so they could charge $20,000 to the franchisee. I did not even need a vehicle but was told it was required that I buy a brand new Mercedes Benz. Oh well it was only monopoly money to them.